darkSpyro - Spyro and Skylanders Forum - Skylanders: Giants - Anyone still playing this? darkSpyro - Spyro and Skylanders Forum > Skylanders: Giants > Anyone still playing this? I still collect Giants toys and play with them on the newer games if that counts ? I might play the Giants 3DS game sometime in the near future . I picked up a starter pack to get my hands on Punch Pop Fizz and well I hate to waste the game that came with it . Heck yeah. Especially since Superchargers after-game is so disappointing and the old games are the only ones with PvP. I played it this morning. I still love this game. I still play on my xbox with Pop fizz, Tree rex, Crusher, And Eye Brawl. 2 years ago I started with trap team on ps4. Truly love this game. A bit later I bought swap force. Great game too. Superchargers I got on launch. It was a big disappointment to me. I wanted to play the old games also. About half a year ago, I bought a ps3 just to play spyros adventure and giants. I wanted to know how it startedm Great games too. I tried playing it the other day but the frame rate was killing me too much. what system was you playing it on? I've been away from Skylanders for a while, but I do prefer the older ones. Also, I don't want to waste all my money on newer skylanders. I'm quite happy with just playing the first 3 games. I still like playing through the stories of the first 3 games and I have so many Skylanders now that it's always refreshing to go through these games again and again. Favorite Skylanders: Sunburn, Flashwing, Camo, Cynder, Spyro, Whirlwind, Zap, and Drobot. Yes, all dragons. 'Cause dragons are awesome! Already beat it and most of the Adventure Pack stages but holy heck is the game hard....like WAY harder than the console version. After playing the trenches of 3DS Spyros Adventure . 3DS Giants was a walk in the park . I re-beat the main story of all the Skylanders games every year around this time. Giants was short but has always been my favorite. Still playing to complete all Heroic Challenges with all my skylanders. Almost done. Only a few Eons elites from Superchargers. Still no news from Eons elites for Imaginators, but that are only a few skylanders to complete the Challenges. After that waiting for my little Son to complete Spyros adventure so we can move on with Giants. He is now more into LEGO dimensions so that can take a while. I still play, and it's the one I've played the most. I really love it, and I consider it has the best gameplay of the entire series, though I hate the graphics and frame rate of the PS3 version, they're awful. 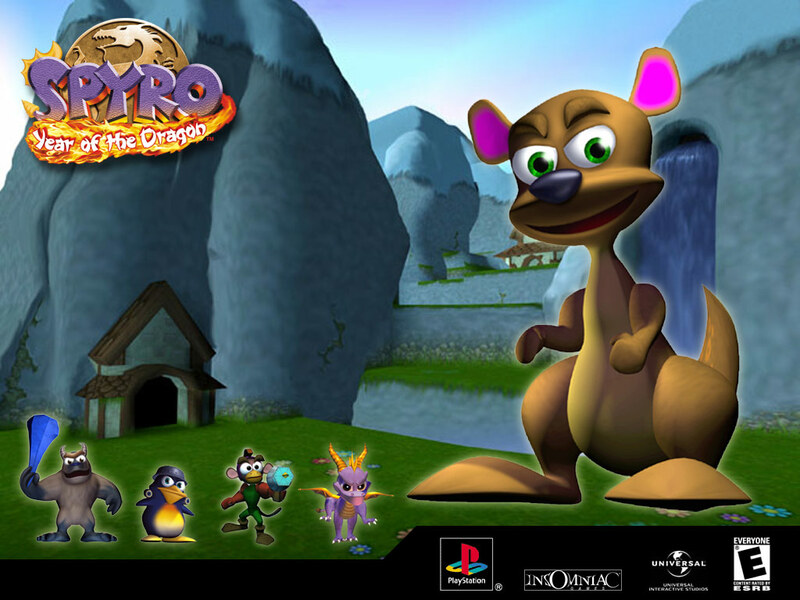 I don't understand why they aren't the same than in Spyro's Adventure, they were awesome. I've recently been trying to Platinum it on PS3. Only trophy I have left is to finish the game on Nightmare Difficulty. So many options in this second game! I see my taste is similar to yours! Eyebrawl is amazing in every way, same about Hex and Chop Chop, but Eyebrawl is awesome. Not a really fan of Fright Rider... Cynder is amazing in PvP. Bash S2 toy is one of my favourite toys in the entire franchise. Terrafin S2 is the best Terrafin toy in my opinion. Between Legendary Ignitor and Flameslinger... I would pick up the first one, definitely. Bouncer and Ignitor are the only legendary figures I consider that don't look awful, indeed. Unless you think you need another shooter... but I'd pick up him anyway. Thank you for your opinion! I do appreciate it! I definitely have some options to work with and I appreciate you taking the time to share your thoughts! Good lineup. I recommend Drill Sergeant, Chop Chop, and Terrafin. I say "I'm sorry" every second of every day. I love Akame Ga Kill. I'm a teen girl who probably shouldn't be here. I make bad art. Bought it to teach my students about character, setting, plot and point of view. Good stuff. ^ Point of view? Would that be like camera stuff? In storytelling, point of view is who and where the narrator is, 1st person, 3rd person, etc. in video games this could show up as camera angle (do you see the whole character, or just the hands?). I think my students got the idea better because of the game. Oh alright, I thought of that too. However, I think SA also did that significantly better than the rest of the series because it's the only one where whoever's calling you "Portal Master" is actually consistent (every other entry kinda has some of it to remind you it's there, but will primarily address your Skylander, even from characters who speak directly to you at other moments), and it doesn't feel like an afterthought. I think Giants only really did it in the first level, which don't get me wrong is a fantastic example, but it drops the ball almost immediately. Honestly, I think it's a bad thing that the story in this game didn't have obvious MacGuffins because it makes your quest feel more meandery for the most part and with the development time they had, I don't think TFB succeeded at making compelling story without them. Don't get me wrong with the tone and writing the plot of Giants is still fun, and definitely deserves some credit for trying something new, but alas it's another aspect of this game I find very overrated. I do, matter of fact I just bought the Wii U version so I can play it easier since my Xbox 360 isnt hooked up right now. And recently completed getting all my Giants. I had most of them but bought Bouncer, Legendary Bouncer and Crusher. I think the only other one I will get is Gnarley Tree Rex because he is so cool looking. The past few months I have been filling gaps in my whole collection since the figures are a bit easier to find on amazon/ebay or Facebook Marketplace now.